The following resources can help you find the additional information and support you may need. We also suggest speaking with a local social worker, nurse, or physician for resources in your community. For financial help, order a free copy of our guide to finding national and local financial assistance for people with cancer and their loved ones: the Helping Hand Resource Guide: Financial Edition. Provides free professional support services to anyone affected by cancer including counseling, education, financial assistance and practical help and are provided by trained oncology social workers free of charge. The Wellness Community and Gilda's Club joined forces in 2009 to become the Cancer Support Community (CSC). CSC helps optimize patient care by providing essential, but often overlooked, services including support groups, counseling, education and healthy lifestyle programs. Information specialists can answer questions about cancer and provide materials. The NCI website provides comprehensive information on cancer prevention, diagnosis, treatment, statistics, research, clinical trials and news. Advocates for quality cancer care for all Americans and the empowerment of cancer survivors through federal policy initiatives. Web portal and online community solely dedicated to advanced/metastatic breast cancer patients, their families, friends and health care providers. BeSMART! - Memorial Sloan-Kettering's mobile mammography program BeSMART! 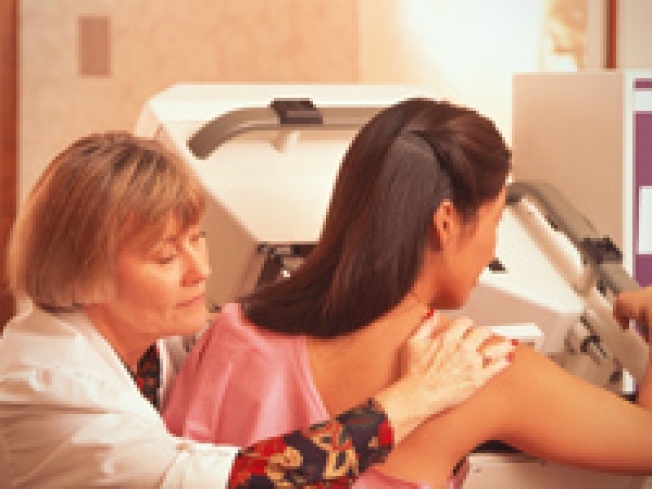 (Select Mammography As a Routine Test). For more information call 212-965-3600. Mission is to fund innovative breast cancer research and to promote breast health through education and outreach. A 24-hour hotline staffed by trained breast cancer survivors. Affiliates throughout the nation provide support groups, early detection workshops and wigs and prostheses for women with limited resources. Nonprofit organization for women who are at high risk of getting breast and ovarian cancers due to their family history and genetic status, and for members of families in which a BRCA mutation may be present. Dedicated to the advancement of research and public awareness of inflammatory breast cancer, with the goal of determining its causes and increasing the effectiveness of its treatment. Provides interactive conferences, teleconferences, a toll-free information and support line, free newsletters and publications, low-cost informational recordings and a networking program. Provides services to support the husband/partner of women with breast cancer. Offers programs for men/partners and a website. Provides free support services designed to help mothers who have daughters with breast cancer. Grassroots advocacy group of hundreds of member organizations and tens of thousands of individuals fighting breast cancer through action, advocacy and public education. Provides education and guidance to lymphedema patients, health care professionals and the general public. Offers survivor-led support to women with breast or ovarian cancer, their families and friends. Services include hotlines, survivor-led support groups, wellness programs, educational forums and advocacy activities. Provides support and resources for young Jewish women facing breast cancer. Offers a peer support network connecting young women with others who share similar diagnoses and experiences, education and outreach programs. African-American breast cancer survivorship organization. Promotes the importance of breast health through empowerment, support, breast education programs, resources, information and research. This is the world's largest breast cancer organization and the largest source of nonprofit funds dedicated to the fight against breast cancer, with more than $1.3 billion invested to date. For more information about Susan G. Komen for the Cure, breast health, or breast cancer, visit their website or call 1-877-GO-KOMEN. Mission is to raise awareness of triple negative breast cancer and to support scientists and researchers in their effort to determine the definitive causes of triple negative breast cancer, so that effective detection, diagnosis, prevention and treatment can be pursued and achieved. Offers a toll-free helpline for patients and their loved ones. Seeks to educate the medical, research, breast cancer and legislative communities about breast cancer in women 40 and under.